I have more amazingness from the Polish Pickup today, this time from Great Lakes Lacquer. This spacey polish is soft and delicate and perfect for springtime. This is a pale, luminous jade jelly filled with a rainbow of iridescent flakes swimming under a wash of scattered holo. 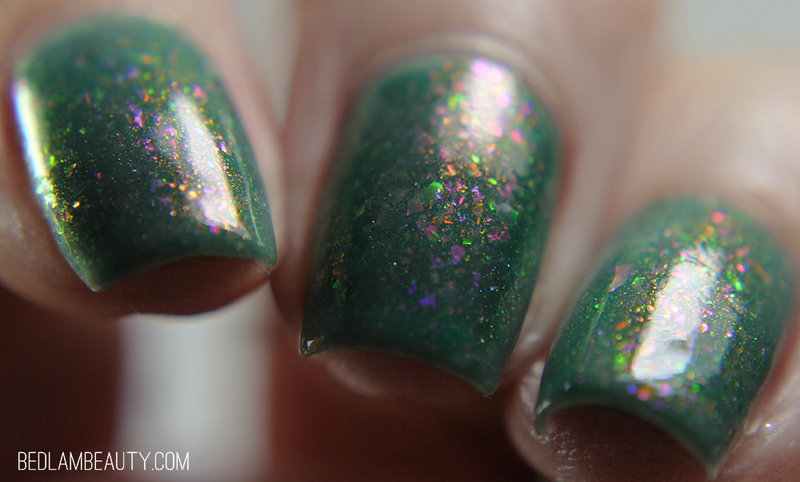 I think this shade is supremely wearable, even if you aren't a space nerd (gasp!). 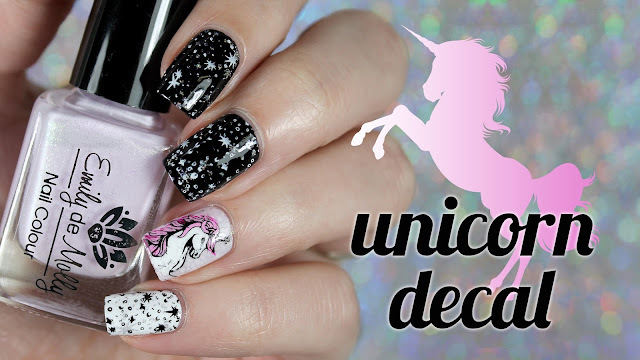 It has a sophisticated vibe, and if you are looking for an Easter manicure that isn't quite so saccharine, this would be a great place to start your search. 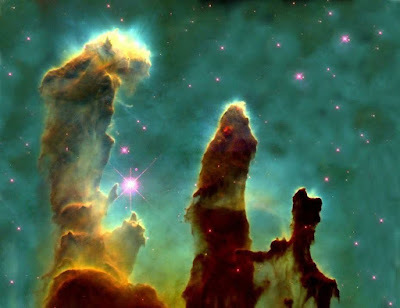 At first glance, you may not even see the connection with the Pillars of Creation...but just starting wiggling your fingers and you see that firey orange-gold shift. The formula is just lovely. Mariah has a firm handle on these "lit from within" type of shades, and you can always know that the flakes will lay smooth and evenly across the nail. I used two mediumish coats here, under a normal layer of Seche Vite and I think that was good. You could do three wafer thin coats and get a similar effect. It all depends on your patience level, I think. Look at this low-light shift! This, for me, was the Aha! moment. Everything fell right together and I immediately felt that inspiration. It looks just like the colorized images of the Pillars of Creation...I think it is just about perfect. For your viewing pleasure, here is my swatch video! 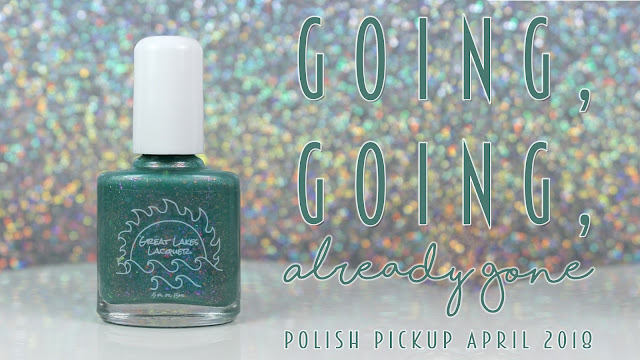 The Polish Pickup goes live on 06 April at 11am eastern. This month is outta this world guys. 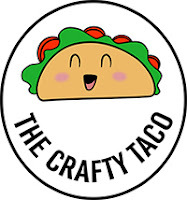 Are you making your wishlist yet? Oh wow. There’s another PPU like this one coming out in April. Both are gorgeous! Such a pretty color! It is similar to another for April but they both look fantastic! This is very pretty. I'm glad to hear the flakes lay flat. This is such a pretty shade. I love how the falkies seem to float within the base color. It will be going on my wishlist for sure. Yeah, this one has to come home with me.